"Salaijo Chiso Hawa ...", a Melodious New Nepali Salaijo Song sung by male Singer Raju Gurung and female Singer Muna Thapa Pachbaiya. 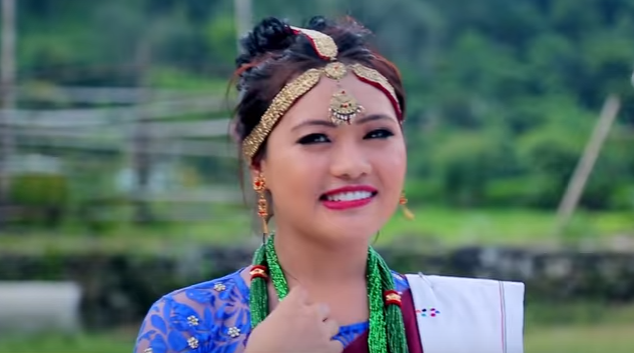 Featuring Models in this music video are Khem Gurung / Sarishma Magar / Raju Gurung / Shitala Gurung. This beautiful music video was shooted in one of the most awesome Tamu majority Village in Syangja, "Rambachchha (My Hometown)". Special thanks and Credit to the Gurung community peoples of Rambachchha Tamu Samaj. Enjoy the melodious New Nepali Salaijo Dancing Romantic Song "Salaijo Chiso Hawa ..." by Raju Gurung and Muna Thapa Pachbaiya. The Lyrics of the New Nepali Salaijo Dancing Song 'Salaijo Chiso Hawa ...' is written by Raju Gurung and Milan Thapa and Music is composed by singer Raju Gurung himself. The Camera work of the New Nepali Dancing Song 'Salaijo Chiso Hawa ...' is done by Karan Chaisir and Mitra Dev Gurung has done the Editorial work. The Director of this music video is Bijay Rumba. New Nepali Salaijo Songs 2016, Salaijo Chiso Hawa ... Raju Gurung. All the Audio and Video rights of this Music Video is owned only by Raju Gurung. 0 Response to "Salaijo Chiso Hawa | Raju Gurung & Muna Thapa Pachbaiya | Video HD"
First of all, thank you for taking the time to read my blog. It's much appreciated! If you would like to leave a comment, please do, I'd love to hear what you think! Suggestions and/or questions are always welcome, either post them in the comment form or send me an email at drgurung82@gmail.com. However, comments are always reviewed and it may take some time to appear. Also Comments without NAME will not be published hereafter (2019) :) Always keep in mind "URL without nofollow tag" will consider as a spam. Check and Download All Question Papers Of Faculty Of Management Grade XII (Class 12) 2075 - 2018, NEB. 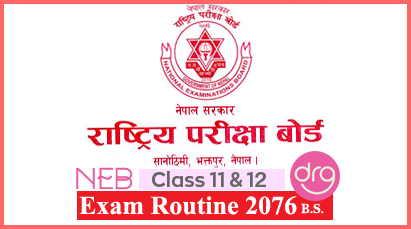 Check and Download Exam Routine Of Grade 11 and Grade 12 of academic year 2075-2076 (2019). Today Sunday, May 13, 2018 [30 Baishakh, 2075] NEB Grade XI Compulsory English exam (2075-2018) has been held. Read/See Nepal's Budget 2075/76 / +Download Now!